New York, August 19, 2015 – – Data on U.S. wine imports for the first half of this year have confirmed, as reported today by the Italian Wine & Food Institute, a general market downturn that started in the first months of 2015. However, Italy continues to record a slight increase in quantity (+1.5%). According to IWFI President Lucio Caputo, this increase is particularly significant, especially when compared to the overall reduction of American wine imports (-3.8%) and those of Australia (-5.8%), Chile (22.9%) and Argentina (-3.6%) which, in order, follow Italy among the leading suppliers to the U.S. market. These reductions are mainly caused by the decrease in exports of bulk wines from Australia (-16.4%), Chile (-32.1%) and Argentina (-8.8%), following the decrease in sales of American wines which utilized such imports. By contrast, France and Portugal showed, in the first half of 2015 compared to the first half of 2014, an increase in quantity of 11% and 28%, respectively. For the first half of this year, the decline in value continued for almost all exporting countries to the U.S. According to the president of the Italian Wine & Food Institute, this decline is essentially due, regarding the European countries, to the changed euro-dollar exchange rate, which has greatly improved in 2015 compared to 2014 and therefore makes European imports less costly. Regarding non-European countries, however, the decline in value is primarily a result of the significant reduction in the total volume of their exports to the U.S. In detail, the U.S. imports in total value were reduced by 3.4%, those from Italy by 6.1%, those from Australia by 2.3%, those from Chile by 12.8%, those from Argentina by 7.7% and those from France by 0.5%, which, in order, are the major exporting countries to the U.S. According to the statement issued today by IWFI, Italy increased from 1,256,640 hectoliters for the first half of 2014, for a value of $ 682,951,000, to 1,275,900 hectoliters for a value of $ 641,048,000, for the first half of the current year. The market share of imported wines from Italy amounted to 27.9% in quantity and 32.9% in value, while those from Australia, the second largest supplier to the U.S. market after Italy, amounted to 16.6% in quantity and 9.9% in value. For the first half of 2015, U.S. imports amounted to 4,568,830 hectoliters for a value of $1,945,574,000, against the 4,747,610 hectoliters for a value of $2,015,446,000 recorded for the same period last year. Imports from Australia amounted to 760,090 hectoliters for a value of $193,326,000, compared to 807,180 hectoliters for a value of $ 197,866,000 for the same period last year. Imports from Chile, the third main exporter to the U.S. market, increased from 947,070 hectoliters for a value of $149,314,000 recorded in the first half of 2014, to 730,660 hectoliters for a value of $130,197,000, recorded in the first half of 2015. Imports from Argentina, the fourth largest supplier to the U.S. market, increased from 578,960 hectoliters for a value of $150,100,00 in the first half of 2014, to 558,070 hectoliters for a value of $138,555,000 for the first half of 2015. Imports from France, the fifth largest supplier to the U.S. market in volume and in value, increased from 436,250 hectoliters for a value of $430,323,000 for the first half of 2014, to 484,470 hectoliters for a value of $ 428,180,000 in the first half of this year. Instead, the expansionary trend of U.S. imports of sparkling wines continues, according to the note of the Italian Wine & Food Institute. For the first half of the year, sparkling wine imports showed an increase of 23% in quantity and 12.9% in value, compared to the same period last year. In this positive context, Italian sparkling wine has registered a considerable increase of 35% in quantity and 15% in value, with a market share of 57% in quantity and of 31% in value. Overall, exports of Italian sparkling wines to the U.S. market increased from 175,210 hectoliters for a value of $101,779,000 for the first half of 2014, to 236,560 hectoliters for a value of $116,840,000 for the first half of 2015. New York, June 25, 2015 – The third edition of the “Wonderful Italian Wine for Summertime” achieved considerable success among operators and journalists of the sector. The wine and food tasting took place on Tuesday, June 23rd, in the “Spirit of America” room at the headquarters of the Italian Trade Commission in Manhattan. The event featured white wines, sparkling wines, Rosé, Prosecco and Moscato, to emphasize Italian wines of the summer wines, which are currently enjoying their favorable position in the U.S. wine market. Organized by the Italian Wine & Food Institute in collaboration with the Italian Trade Commission, the “Wonderful Italian Wine for Summertime” featured some of the most prestigious Italian wineries, including: Balan, Bartenura, Bertani, Ca’ Bolani, Castello del Poggio, Cavit, Comelli Paolino, Corbera, Ferrari, Feudi di San Gregorio, Lunetta, Mezzacorona, Planeta, Rocca delle Macie, Rocca di Montemassi, Rotari, Sella & Mosca, Stemmari, Tasca d’Almerita and Zonin, all of which presented a wide variety of their wines for the summer. Contributing to the success of the tasting was also the presence of some of the most important Italian restaurants in New York, including: Cacio e Vino, Risotteria Melotti and Serafina Fabulous Grill, all of which offered an impressive selection of dishes for the summer, specially crafted for the event. Nestlé Waters, the exclusive water sponsor of “Wonderful Italian Wine for Summertime,” exhibited their sparkling and mineral waters: San Pellegrino and Acqua Panna. Other sponsors of this special event were Banca Intesa Sanpaolo, G.C. Consultants, Omnia Industries and Serafina Fabulous Grill. In addition, Bauli and Ferrero were among the other participating companies, and presented many of their products and their successful confectionaries. Over 400 opinion leaders, wine editors and trade representatives attended (by strict invitation only) the “Wonderful Italian Wine for Summertime,” and tasted for the event’s six-hour duration more than 35 wines, as well as a variety of Italian food specialities. New York, June 17, 2015 – Attracting growing interest among trade representatives and journalists, the upcoming event dedicated to the wines of summer, “Wonderful Italian Wine for Summertime,” will present a variety of white wines, sparkling wines, Rosé, Prosecco and Moscato; all summer wines currently enjoying their favorable position in the U.S. wine market. Now in its third edition, the event aims to emphasize this particular category of wines, both in the press and among the operators in the wine and food sector, as a further affirmation on the American market. Some of the most important Italian wine producers have already confirmed their participation in the “Wonderful Italian Wine for Summertime,” including: Balan, Bartenura, Bertani, Ca’ Bolani, Castello del Poggio, Cavit, Comelli Paolino, Corbera, Ferrari, Feudi di San Gregorio, Lunetta, Mezzacorona, Planeta, Rocca delle Macie, Rocca di Montemassi, Rotari, Sella & Mosca, Stemmari, Tasca d’Almerita and Zonin, all of whom will present a wide range of their wines for the summer. Confirming the success of the event is the presence of some of the most prestigious Italian restaurants in New York, including: Cacio e Vino, Risotteria Melotti and Serafina Fabulous Grill will present a wide selection of dishes for the summer, specially crafted for the event. In addition, to further emphasize the importance of pairing food and wine, two notable and prestigious food producers will exhibit at this event: Bauli and Ferrero. The exclusive water sponsor of the event, Nestlé Waters, will present its sparkling mineral and natural waters: San Pellegrino and Acqua Panna. Other sponsors of this special event are Banca Intesa Sanpaolo, G.C. Consultants, Omnia Industries and Serafina Fabulous Grill. The event, which is jointly organized by ICE – Italian Trade Agency of New York and the Italian Wine & Food Institute, will be held in Manhattan between 2:00 p.m. and 8:00 p.m. on June 23rd. Admission is strictly by invitation and is reserved to trade and press. For more information on the event, please contact the Italian Wine & Food Institute – Tel. : (212) 867-4111 – Fax: (212) 867-4114 – E-mail: iwfi@aol.com. New York, May 11, 2015 – Great interest is spreading among trade representatives, media and opinion leaders, for the tasting dedicated to the wines of the summer: “Wonderful Italian Wine for Summertime” whose stars—together with white wines, sparkling wines and rosé—are Prosecco and Moscato. The event, now in its third edition, aims to give further prominence to Italian wines in the press at a time when Italian summer wines are enjoying significant success in the U.S. market. Numerous wineries of great prestige have already confirmed their participation in “Wonderful Italian Wine for Summertime” and will present an interesting and varied range of wines, such as: Brachetto, Dolcetto, Fragolino, Frascati, Gavi di Gavi, Lacrima Cristi, Malvasia, Pinot Grigio, Roero, Trebbiano, Verdicchio, Vermentino, Vernaccia, as well as Prosecco, Moscato and Brut. To accompany the wines this year, there will be a wide selection of typical summer dishes prepared by prestigious Italian restaurants in New York and by some of the most important food producers. The event “Wonderful Italian Wine for Summertime” will take place in New York, between 2:00 p.m. and 8:00 p.m. on Tuesday, June 23. For more information, please contact Italian Wine and Food Institute (iwfi@aol.com). New York, February 23, 2015………..Held within the elegant halls of the exclusive Pierre Hotel in New York City, the 30th anniversary of the GALA ITALIA achieved such great success that it exceeded even the most optimistic expectations. Great Italian wine producers, many celebrities and VIPs converged on New York to join about 1,000 guests at this celebration of Italian wine’s success in the United States, where they were able to taste 100 exceptional Italian wines of special vintages. The event’s resounding, unprecedented success enabled further prominence to be placed on the achievements of Italian wine in the U.S., as well as on the producers who were the architects behind these achievements. Gathered in New York from Piedmont, Pio Boffa of Pio Cesare; from Sicily, Lucio Tasca of Tasca d’Almerita; from Veneto, Gianni and Francesco Zonin; from Tuscany, Piero Antinori, Jacopo Biondi Santi, Cesare Cecchi and Alessandro François (of Castello di Querceto); from Umbria, Chiara Lungarotti; and from Trentino, Matteo Lunelli (of Ferrari), Luca Rigotti and Fabio Maccari (of Mezzacorona). All of these producers, who for years have participated in the GALA ITALIA (some even since its first edition), presented their 1985 vintage bottles in a unique display in the Grand Ballroom to celebrate the thirty years of GALA ITALIA. With them were many other high-quality producers, including Bertani, Ca’ Bolani, Ca’ di Frara, Castello del Poggio, Castello di Fonterutoli, Castello di Gabbiano, Cavit, Col d’Orcia, Corte di Valle, Fantini, Farnese, Feudi San Gregorio, Feudo Principi di Butera, Fontanafredda, Mazzei, Moschioni-Stella, Planeta, Rocca delle Macie, Rocca di Montemassi, Sella & Mosca, Terra di Seta, Terre di Bruca, Vigne Sannite, Vigneti del Vulture, Vigneti di Zabù; and as the Gala looks to the future, some young producers took part, such as Joan Prandini of Perla del Garda and Giulia Alleva of Tenuta Santa Caterina. All together, these producers offered many guests who filled The Pierre Hotel’s Grand Ballroom an overview of what are considered the most prestigious Italian wines. The undisputed stars of the GALA ITALIA 30, however, were the 1985 vintage bottles exhibited with great prominence in the Grand Ballroom, as befits the stars, were widely photographed and filmed. This selection of bottles contained the highest quality wine that are now difficult to find, were displayed next to their original wooden boxes, and were taken directly from the cellars of the various wine producers who personally came to New York to celebrate GALA ITALIA. Together the wines in this unique display constituted an event within in the event, exceptional and difficult to repeat, of which only the 30th anniversary of GALA ITALIA could create. The following were the stars of the event: a Brunello di Montalcino DOCG Riserva, 1985, of Biondi Santi; a Brunello di Montalcino DOCG, Riserva del Fiore, 1985, of Barbi; an Amarone della Valpollicella DOC, 1985, of Bolla; a Baglio Florio, Marsala Superiore Soleras, 1985, of Cantine Florio; a Marsala Superiore Riserva, 1985, of Cantine Pellegrino; a Brunello di Montalcino DOCG 1985, of Castelgiocondo; a Brunello di Montalcino DOCG, 1985, of Castello Banfi; a Chianti Classico DOCG Riserva, 1985, of Castello d’Albola of Zonin; a La Corte IGT Toscana, 1985, of Castello di Querceto; an Arele, Vino Santo Trentino DOC 1985, of Cavit; a Spargolo, 1985, of Cecchi; a Brunello di Montalcino, DOCG Riserva, 1985, of Col d’Orcia; a Rosso del Conte, 1985, of Conti Tasca d’Almerita; an extremely rare Giulio Ferrari Riserva del Fondatore 1985 from the private reserve of the Ferrari family; a Barolo DOCG Riserva, 1985, of Fontanafredda; a Marmoreto, Predicato di Biturica 1985, of Frescobaldi; a Rubesco Vigna Monticchio, Torgiano DOCG Riserva, 1985, of Lungarotti; a Tignanello, 1985, of Marchesi Antinori; a Rotari Brut Gran Spumante Trento DOC, 1985, of Mezzacorona; a Barolo DOCG Riserva, 1985, of Pio Cesare; a Barolo DOCG, 1985 and a Barbaresco DOCG, 1985, of Prunotto; a Frater, Oltrepo Pavese Rosso, 1985, of Ca’ di Frara; a Chianti Classico DOCG Riserva, 1985, of Rocca delle Macie; and a Chianti Classico DOCG, Riserva Ducale 1985, of Ruffino. Balancing the wine was the presence of Italian food, thanks to the participation of prestigious companies, such as Ferrero and San Pellegrino, and some of the most famous restaurants in New York whose chefs prepared specialty, gourmet wine-food pairings. Among the major restaurants present: Cacio e Vino, Le Cirque, Macelleria, Risotteria Melotti, Osteria del Circo, Piada, Serafina and Sirio. The celebration of the 30th anniversary of GALA ITALIA attracted the sponsorship of several prestigious companies, including ACP Group, Alitalia, America Oggi / La Repubblica, Banca Intesa Sanpaolo, G. Brusa CPA, Grassi & Co., Mediterranean Shipping Company, Omnia Industries, Rizzoli and San Pellegrino. To underline the importance of the event, the president and the director general of Veronafiere / Vinitaly, Ettore Riello and Giovanni Mantovani, specifically came to New York to attend. Vinitaly, the largest wine festival in the world that has been held annually in Verona for over 49 years, will represent the Italian wine at EXPO 2015. Accompanying Riello and Mantovani were the Mayor of Verona Flavio Tosi and Senator Patrizia Bisinella. Emphasizing the national unity in the Italian wine industry, they brought a few bottles of the special and now very rare wine made with grapes from all over Italy to celebrate the 150th anniversary of the unification of the Republic. This wine was presented to the Italian president in March 2011 in New York on the occasion of his state visit. After attending a seminar on the artwork that will be exhibited at EXPO 2015 (sponsor of GALA ITALIA), an EXPO delegation consisting of more than one hundred journalists participated in the GALA ITALIA 30, where they distributed comprehensive information on the great Milanese event and presented a film about the world fair and the Italian pavilion. Among the other distinguished guests who came specially from Italy were esteemed journalists, including the publisher and editor of the Civilta’ del bere, Alessandro Torcoli. Torcoli’s grandfather was Pino Khail, who was for many years the “Deus ex machina” of Italian wine and to whose memory has been established the “Pino Khail Award,” which is awarded biennially in Cortina on the occasion of VinoVIP. Well-known journalist, Elena Cardinale, of L’Arena of Verona, was also present at the event. From Sicily came Avv. Diego Maggio, president of the “Associazione dei Paladini dei Vini di Sicilia” (Association of the Knights of the Wines of Sicily), who together with Consul General of Italy to New York, Minister Natalia Quintavalle, bestowed the insignia of “Paladini” to Vito Candela (of Gruppo Farnese), Leonardo Locascio (of Winebow), Giusto Priola (of Cacio e Vino restaurant) and Francesco Rabellino (of Zonin USA) at GALA ITALIA 30 for their great contribution to the spread of Sicilian wine in the U.S.
On the American side, this celebration was attended by 350 American journalists and more than 700 qualified and carefully-selected (who were required to submit a pre-registration fee electronically) trade representatives (importers, wholesalers, retailers) and many restaurateurs from various states along the U.S. Atlantic Coast, many of whom have been participating for years in what is the most important event for Italian wine in the U.S., providing thus a further source of attraction to the event. These hundreds of guests joined together to celebrate the thirty-year continuity of this initiative, which is unrivaled in the world, coupled with the irrepressible success of Italian wine whose exports to the U.S. will go from $44 million in 1975 to over $1.4 billion in 2015, and will exceed $1.6 billion with the inclusion of Italian sparkling wines. This clear success, which has placed Italy in first place among the countries supplying wine to the U.S., in both value and quantity, as well as for the variety and excellence in the range of wines offered, was highlighted and illustrated during this heavily media-covered event with special graphics and through a detailed report published in the Gala catalog. An important feature of GALA ITALIA 30 was its grand Wine & Food Tasting, which was filled with a variety of wine and gastronomic specialities. The tasting was held from 12:00 p.m. to 6:00 p.m. in the Grand Ballroom of The Pierre Hotel, specially set up and decorated for the event. To promote and highlight the presentation of these wines at the tasting, an American jury selected what in their opinion was the best wine of each participant (to view the list of awarded wines, visit: https://iwfinews.com/gala-italia-2015/awarded-wines/). To each of these selected wines was awarded a special “Certificate of Merit”; these certificates were jointly awarded to the wine producers by President of the Italian Wine & Food Institute, Lucio Caputo, and the Consul General, Minister Quintavalle, during a brief ceremony at the Gala. All of the producers received a certificate attesting to their participation in the 30th anniversary of GALA ITALIA. Further enhancing the event, GALA ITALIA was given a warm message of congratulations from the Mayor of New York, Bill de Blasio. For GALA ITALIA 30, an elegant, colorful catalog with over 70 pages was created to give considerable importance to all participating companies and sponsors. Through a series of charts and graphs, the success of Italian wines in the past 30 years was also given wide coverage in its own special section of the catalog. The catalog was distributed to all present and subsequently sent to the major industry leaders in both the U.S. and Italy. All material published in the catalog and the images of the labels of each exhibited wine bottle were also incorporated into the web-site of IWFI (www.iwfinews.com); this information will long remain available to journalists and professionals. In addition, the web-site is easily accessible from mobile devices by scanning the access code – QR CODE – included in the catalog. Moreover, the Institute’s web-site includes an extensive array of photographs documenting the event in its entirety. GALA ITALIA 30 was followed by a special black-tie Gala Dinner that was held in the Ballroom of The Pierre Hotel under the high patronage of the President of the Italian Republic. The dishes, which was prepared by the chef of Le Cirque, were paired with special vintage wines specially provided by some of the most prestigious producers who were earlier present at GALA ITALIA. This excellent gourmet menu, which received unanimous praise from the guests, was paired with: Ferrari Brut, Trento DOC, N/V; Zonin, Tenuta Ca’ Bolani, Sauvignon Aquilis DOC, 2013; Tasca d’Almerita, Nozze d’Oro, 2012; Biondi Santi, Sassoalloro IGT Rosso Toscana, 2010; Cecchi, Chianti Classico, Riserva di Famiglia DOCG, 2009; Lungarotti, Torgiano Rosso Riserva DOCG, Rubesco Vigna Monticchio, 2007; Castello di Querceto, Il Sole di Alessandro IGT, Colli della Toscana Centrale, 2008; Mezzacorona, NOS Teroldego Rotaliano DOC Riserva, 2007; Pio Cesare, “Ornato” Barolo DOCG, 2010; and Tenuta la Gigliola, Vin Santo, Lo Stoiato, N/V. During the Gala Dinner, the “Gold Medal for Excellence in Wine” was presented to: Jacopo Biondi Santi, Pio Boffa, Cesare Cecchi, Alessandro François, Matteo Lunelli, Chiara Lungarotti, Luca Rigotti, Lucio Tasca d’Almerita and Gianni Zonin. Alessandro Torcoli, editor of Civilta’ del bere, and Ettore Riello, President of Veronafiere, also received this esteemed Gold Medal. Another special feature of the Gala Dinner was the charity auction of 1985 vintage bottles that raised funds for scholarships for undergraduate students studying the Italian language. Subsequent to the auction was the “Grand Awards of Merit” ceremony, during which various renowned personalities were awarded for promoting Italian excellence in the wine industry all over the globe. Among the awardees: Piero Antinori, Lucio Tasca d’Almerita, Gianni Zonin and Giovanni Mantovani. The Gala Dinner, whose guests included over 300 prominent American personalities, distinguished guests and key media representatives, ended late in the evening after an outstanding and brilliant performance by Jo Squillo, and with the music of the Panorama. According to the president of the Italian Wine & Food Institute, Lucio Caputo, the GALA ITALIA 30 was a celebration of great importance that has contributed to raising the image and prestige of Italian wine in the important U.S. market. GALA ITALIA 30 was organized by the Italian Wine & Food Institute under the high patronage of the Italian Ambassador to Washington, with the sponsorship of the Italian Trade Commission, Veronafiere – Vinitaly and EXPO 2015. New York, February 4, 2015 – The “gotha” of Italian wine will be in New York to celebrate the thirtieth anniversary of GALA ITALIA, the prestigious event that for thirty years has been promoting in the U.S.
Italian wine of great image, prestige and quality, as well as its producers. In the next few days, the most famous names in the Italian wine industry will fly to the Big Apple where, in the Ballroom of the exclusive Pierre Hotel, they will jointly celebrate the 30 years of the life of this unique event, the resounding success of Italian wine in the U.S. and the great producers who were the architects behind this success. GALA ITALIA 30 will be an important event that will be remembered foryears to come, and that will serve to emphasize Italian wine’s great success, which is truly unprecedented. Some of the most prominent producers will gather in New York from across Italy: from Piedmont, Pio Boffa of Pio Cesare and its famous Barolo, the king of wines and the wine of kings; from Sicily, Lucio Tasca of Tasca d’Almerita, the most prestigious company of the island and one of the most famous in the international field; from Veneto, Francesco and Gianni Zonin, whose wineries are both in the main winemaking areas of Italy and abroad; from Tuscany, Piero Antinori, whose family for over 600 years have been producing wines of the highest quality and exceptional image, and Jacopo Biondi Santi, whose ancestors created the Brunello di Montalcino; from Umbria, Chiara Lungarotti, daughter of the legendary Giorgio Lungarotti, who in addition to creating fine wine, also founded in Torgiano the famous wine museum; from Trentino, Matteo Lunelli of Ferrari, whose sparkling wine is considered one of the best in the world; and of course Cesare Cecchi of the Cecchi family; Alessandro Francois of Castello di Querceto; and Luca Rigotti and Fabio Maccari of Mezzacorona. All of these producers for years have participated in the GALA ITALIA, some even since its first edition, and they will additionally present their 1985 vintage bottles to celebrate thirty years of this significant promotional event. With them will be many other producers of high quality wines, such as Bertani, Ca’ Bolani, Castello del Poggio, Castello di Fonterutoli, Castello di Gabbiano, Cavit, Col d’Orcia, Corte di Valle, Fantini, Farnese, Feudi di San Gregorio, Feudo Principi di Butera, Fontanafredda, Mazzei, Moschioni-Stella, Planeta, Rocca delle Macie, Rocca di Montemassi, Sella & Mosca, Terra di Seta, Terre di Bruca, Vigne Sannite, Vigneti del Vulture, Vigneti Zabù; and as the Gala looks to the future, some young producers will take part, such as Joan Prandini of Perla del Garda and Giulia Alleva of Tenuta Santa Caterina. All together, these producers will present for tasting about 100 wines from all over Italy, offering qualified guests who will fill the Grand Ballroom of the Pierre Hotel an overview of what are considered the most prestigious Italian wines. To underline this exceptional event, the president and the director of Veronafiere / Vinitaly, Ettore Riello and Giovanni Mantovani, will specifically come to New York to attend. Vinitaly, the largest wine exhibition in the world that has been annually held in Verona for over 49 years, will represent the Italian wine of EXPO 2015. Riello and Mantovani will be joined by the Mayor of Verona, Flavio Tosi. Emphasizing the national unity in the wine industry, they will bring a few bottles of a special and now very rare wine made with grapes from all over Italy to celebrate the 150th anniversary of the unification of Italy. This wine was presented to Italian President in New York in March 2011 on the occasion of his state visit. The bottles of the 1985 vintage – the stars of the event – will be exhibited with great care and emphasis in a special area of the Grand Ballroom to be photographed and filmed, and subsequently offered in a charity auction. This display will feature bottles of great wines (in wooden boxes) that are now very difficult to find and together constitute an event within the event, exceptional and difficult to repeat that only the thirtieth anniversary of GALA ITALIA could create. Among them: a Brunello di Montalcino DOCG Riserva, 1985, of Biondi Santi;a Brunello di Montalcino DOCG, Riserva del Fiore, 1985, of Barbi; an Amarone della Valpollicella DOC, 1985, of Bolla; a Baglio Florio, Marsala Superiore Soleras, 1985, of Cantine Florio; a Marsala Superiore Riserva, 1985, of Cantine Pellegrino; a Brunello di Montalcino DOCG 1985, of Castelgiocondo; a Brunello di Montalcino DOCG, 1985, of Castello Banfi; a Chianti Classico DOCG Riserva, 1985, of Castello d’Albola di Zonin; a La Corte IGT Toscana, 1985, of Castello di Querceto; an Arele,Vino Santo Trentino DOC 1985, of Cavit; a Spargolo, 1985, of Cecchi, a Brunello di Montalcino, DOCG Riserva, 1985, of Col d’Orcia; a Rosso del Conte, 1985, of Conti Tasca d’Almerita; an extremely rare Giulio Ferrari Riserva del Fondatore 1985 from the private reserve of the Ferrari family; a Barolo DOCG Riserva, 1985, of Fontanafredda; a Marmoreto, Predicato di Biturica 1985, of Frescobaldi; a Rubesco Vigna Monticchio, Torgiano DOCG Riserva, 1985, of Lungarotti; a Tignanello, 1985, of Marchesi Antinori; a Rotari Brut Gran Spumante Trento DOC, 1985, of Mezzacorona; a Barolo DOCG Riserva, 1985, of Pio Cesare;a Barolo DOCG, 1985 and a Barbaresco DOCG, 1985, of Prunotto; a Chianti Classico DOCG Riserva, 1985, of Rocca delle Macie; and a Chianti Classico DOCG, Riserva Ducale 1985, of Ruffino. Italian food will be the other attraction of GALA ITALIA 30, thanks to the participation of some of the most renowned manufacturers of food products and beverages, such as Ferrero and San Pellegrino, and some of the most famous restaurants in New York. These restaurateurs will present their haute cuisine specialties, allowing intriguing wine and food pairings. Among the major restaurants present: Cacio e Vino, Le Cirque, Macelleria, Risotteria Melotti, Piada, Osteria del Circo, Serafina and Sirio. The celebration of the thirtieth anniversary of GALA ITALIA has attracted the sponsorship of several prestigious companies, including ACP Group, Alitalia, America Oggi/La Repubblica, Banca Intesa Sanpaolo, Cacio e Vino, G. Brusa CPA, Grassi & Co., Mediterranean Shipping Company, Omnia Industries, Rizzoli and San Pellegrino. This exceptional occasion will draw from Italy many other distinguished guests, including several journalists. Among these, the publisher and editor of the Civiltà del bere, Alessandro Torcoli whose grandfather Pino Khail was, for many years, “Deus ex machina” of Italian wine and to whose memory has been established the “Premio Pino Khail,” awarded biennially in Cortina on the occasion of “Vinovip” to the personalities who have distinguished themselves for the promotion of Italian wine in the world. From Sicily will fly to New York Mr. Diego Maggio, president of the Association of “Paladini dei Vini di Sicilia” who during the GALA ITALIA, will confer the insignias of “Paladini” to some leading members of the press. On the American side, this celebration is attracting over 700 qualified and carefully-selected trade representatives (importers, wholesalers, retailers) and many restaurateurs, all of whom will be preregistered electronically. 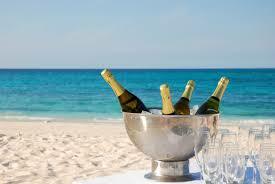 Furthermore, the GALA ITALIA will have the attendance of the most qualified Wine and Food Editors, media and VIP from various states along the U.S. Atlantic Coast, who have been participating in what is the most important event in the Italian wine in America for years, providing thus a further source of attraction. In summary, this will be an occasion to celebrate and highlight the thirty-year continuity of this initiative, which is unrivaled in the world, coupled with the undisputed success of Italian wine whose exports to the U.S. will go from $44 million in 1975 to over $1.4 billion in 2015 and over 1.6 billion including the sparkling wines. An event of strong media coverage, GALA ITALIA will underline this success, which has placed Italy in first place in the ranking of countries supplying wine to the U.S., in both value and quantity, as well as for the variety and excellence in the range of wines offered. At this exceptional and unique celebration will be Italian wine’s protagonists, the most famous Italian producers. It will be the occasion to present to the most qualified and Wine Editors Americans – thirty years after the historic first edition of GALA – some of the best wines of their production, including a wine of great value and a special vintage specially selected by its producer for GALA ITALIA 30. Among these were some new wines that will be presented for the first time outside of Italy, such as, for example, Castello of Querceto’s “Romantic” 2009 and the excellent Rocca di Montemassi, Sassabruna DOC,2006 of the very limited production of Zonin. An important feature of GALA ITALIA 30 will be its large Wine & Food Tasting, which will be held from 12:00 p.m. to 6:00 p.m., in the elegant and prestigious Grand Ballroom of The Pierre Hotel, which will bespecially prepared and decorated. During the tasting, Italian producers and American guests will strengthen old friendships, exchange updates on progress made, and taste and comment on the exceptional wines specially brought from Italy. To promote and highlight the presentation of these wines, an Americanjury of wine experts is currently evaluating the hundred of wines in order to select the one that, in their opinion, is the best wine of each participant. For each of these selected wines, the jury will assign a special “Certificate of Merit” that will put particular emphasisand recognition on them. In recognition of their presence at the celebrations for the 30th anniversary of GALA ITALIA, all of the producers will receive a certificate attesting to their participation in this great event. For GALA ITALIA 30, an elegant, colorful catalog will be prepared that will give considerable importance to all participating companies and sponsors. Wide coverage will also be given to a special section of the catalog: a series of charts showing the success achieved by Italian wine in the past 30 years. The catalog will be distributed to all present and subsequently sent to the major industry leaders. All material published in the catalog and images of the labels of each wine bottle exhibited will also be incorporated into the web-site of the Italian Wine & Food Institute; this information will long remain available to journalists and professionals. This page on the web-site will be accessible electronically, including from mobile phones by using the access code – QR CODE – inserted in the catalog to instantly view the page on the devices. GALA ITALIA 30 will be followed by a special Gala Dinner, an elegant black-tie event in the Ballroom of The Pierre Hotel by invitation only. The dinner will be prepared by the executive chef of Le Cirque restaurant, and will be paired with great, special vintage wines specially provided by some of the major Italian producers who will be present at both GALA ITALIA and the subsequent Gala Dinner. A charity auction of the wines of 30 years will take place on this occasion. Gold medals will be awarded to the producers present, and the”Grand Awards of Merit” will be presented to various important Italian and American personalities in recognition of their promotion of Italian excellence across the world. The Gala Dinner, whose guests will include the most important American personalities, distinguished guests and key media representatives, will end late in the evening with the music of the acclaimed PanoramaOrchestra. 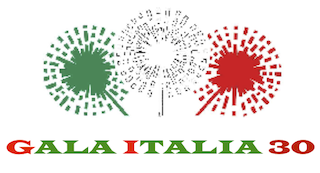 The GALA ITALIA 30 is organized by the Italian Wine & Food Institute,under the high patronage of the Italian Ambassador to Washington, with the sponsorship of the Italian Trace Commission and Veronafiere – Vinitaly. New York, January 21 2015 — Now just weeks away, GALA ITALIA 30 promises to be a truly memorable event with its unique presentation, world-renowned exhibitors, elegant venue and top quality wine and food. The event, which will take place on February 19th at The Pierre Hotel in Manhattan, will celebrate its 30th anniversary and the great success of Italian wine in the United States. During its grand Wine and Food Tasting, GALA ITALIA 30 will feature an expansive variety of Italian wine – from Trentino to Sicily, from Piedmont to Tuscany – from a select number of Italian wineries, as well as traditional Italian cuisine. Executive chefs from some of the most famous Italian restaurants in New York (Cacio e Vino, Le Cirque, Macelleria, Osteria del Circo, Piada, Risotteria Melotti and Serafina) will prepare their specialty dishes for guests to savor and pair with over 100 wine choices at GALA ITALIA 30. The event will further emphasize the importance of traditional food and wine pairings, thanks to the presence of some of the most prestigious importers of Italian products and outstanding food producers, such as Ferrero. At this unique celebration, some of the most renowned Italian wine producers will personally come to New York to meet with guests and to present to the most qualified American wine editors some of the best wines in their production, including a special vintage wine uniquely selected for GALA ITALIA 30. Guests will have the opportunity to taste and discuss the wines with these industry leaders at the Gala, including: Dott.ssa Giulia Alleva, Dott. Jacopo Biondi Santi, Comm. Pio Boffa, Dott. Cesare Cecchi, Dott. Alessandro François, Dott. Matteo Lunelli, Dott.ssa Chiara Lungarotti (daughter of Giorgio Lungarotti, famous winemaker and creator of the Wine Museum of Torgiano), Dott.ssa Giovanna Prandini, Uff. Luca Rigotti, Count Lucio Tasca D’Almerita, Dott. Francesco Zonin and Cav. del Lavoro Gianni Zonin. Several journalists from Italy will fly across the Atlantic to specifically cover GALA ITALIA 30, such as Alessandro Torcoli of Civilta’ del bere and Elena Cardinali of L’Arena. Other famous names who will be present at the event include Dott. Giovanni Mantovani, Director General of Veronafiere – Vinitaly; Dott. Ettore Riello, President of Veronafiere – Vinitaly; and Dott. Diego Maggio, President of the “Paladini dei Vini di Sicilia,” who will bestow the title of “Paladini” and their signature diploma to several passionate pioneers of Sicilian wine in attendance. At GALA ITALIA 30, a select number of the most prestigious wineries from across Italy will participate and showcase their wines, including: Bertani, Jacopo Biondi Santi, Ca’ Bolani, Castello del Poggio, Castello di Fonterutoli, Castello di Gabbiano, Castello di Montepò, Castello di Querceto, Cavit, Cecchi, Cirulli, Col d’Orcia, Corte di Valle, Fantini, Ferrari, Feudo di San Gregorio, Fontanafredda, Cantine Giorgio Lungarotti, Matanè, Mazzei, Mezzacorona, Moschioni, Perla del Garda, Pio Cesare, Planeta, Rocca delle Macie, Rocca di Montemassi, Sella e Mosca, Stella, Tasca d’Almerita, Tenuta Santa Caterina, Terre di Bruca, Vigne del Vulture, Vigne Sannite, Vigneti di Zabù and Zonin, among others. San Pellegrino, the exclusive water sponsor of GALA ITALIA 30, will keep guests refreshed with their exceptional beverages. The success of Italian wine in the U.S. wine market will be the driving force behind the celebration at GALA ITALIA 30. A thirty-year initiative unrivaled in the world, GALA ITALIA 30 will highlight the strong achievements by Italian wine, whose exports to the U.S. grew from $44 million in 1975 to over $1.3 billion in 2014. This undisputed success has placed Italy at the forefront of countries exporting to the U.S. in both value and quantity, as well as in variety and excellence. Among the many elements that will shed light on the success of Italian wine will be the display of 1985 vintage bottles, whose thirty years of life will underline the thirty years of the GALA ITALIA and the thirty years of continuous accomplishments of Italian wine. After coming all the way from Italy, these 1985 vintage bottles – the stars of this celebration – will be exhibited at the center of the Grand Ballroom, where they will be photographed and filmed by hundreds of journalists, photographers and cameramen. Among the stars: a rare Giulio Ferrari Riserva del Fondatore 1985 from the private reserve of the Ferrari family; a Tignanello 1985 of Marchesi Antinori; a Brunello di Montalcino DOCG Riserva 1985 of Biondi Santi; a Brunello di Montalcino DOCG 1985 of Barbi; a Brunello di Montalcino DOCG, 1985 of Castello Banfi; a Brunello di Montalcino DOCG 1985 of Castelgiocondo; a Brunello di Montalcino DOCG Riserva 1985 of Col d’Orcia; a Rosso del Conte 1985 of Conti Tasca d’Almerita; a Rubesco Vigna Monticchio Torgiano DOCG Riserva 1985 of Lungarotti; a La Corte IGT Toscana 1985 of Castello di Querceto; a Spargolo IGT Toscana 1985 of Casa Cecchi; a Chianti Classico DOCG, Riserva Ducale 1985 of Ruffino; a Chianti Classico DOCG Riserva 1985 of Tenuta Castello d’Albola of Zonin; Marmoreto, Predicato di Biturica 1985 of Frescobaldi; a Barolo DOCG Riserva 1985 of Fontanafredda; a Barolo DOCG Riserva 1985 of Pio Cesare; a Chianti Classico DOCG Riserva 1985 of Rocca delle Macie; an Arele 1985 of Cavit; an Amarone DOCG 1985 of Bertani; an Amarone della Valpollicella DOC, 1985 of Bolla; a Marsala Baglio Florio, Soleras Superiore 1985 of Cantine Florio and a Marsala Superiore Riserva 1985 of Cantine Pellegrino to name a few. Adding to such a unique and prestigious presentation, four bottles (two of which are Magnum) of the special wines created by Vinitaly to celebrate the 150th anniversary of the Unification of Italy (1861-2011). Treated with great care as befits the stars of the event, the wine bottles will be auctioned off during the Gala Dinner that will follow GALA ITALIA 30. Proceeds from the benefit auction will go towards the educational fund for American students pursuing a college degree in the Italian language. In addition, a colorful event catalog will enhance the importance of all of the companies and sponsors involved in the event, with ample information provided for each participant. The catalog will also provide wide coverage and a series of charts highlighting the success achieved by Italian wines in the past thirty years. The catalog will be distributed to all present and subsequently sent to the major leaders in the wine and food industry. In addition, all material published in the catalog will be displayed on the web-site of the Italian Wine & Food Institute. To emphasize the exceptional quality of the wines to be presented, an American jury of experts will select the best wine of each participating winery and present these wines with a special “Certificate of Merit” that will further inform the press and trade representatives in attendance. To RSVP for the GALA ITALIA 30, please register at www.iwfinews.com. New York, January 9 – Just one month from Gala Italia, which on February 19th will celebrate its 30th anniversary and the success of Italian wine, the president of the Italian Wine & Food Institute, Lucio Caputo, illustrated the year 2014 to the press. Caputo defined 2014 as a transitional year between an economic crisis (which, at least in the U.S., is positively evolving) and an economic recovery that, combined with the more favorable exchange rate between the euro and the dollar, will make Italian wine more attractive to American consumers. According to Caputo, Italian wine exports will exceed $1.4 billion in 2015, and top $1.7 billion with the inclusion of Italian sparkling wines. This is a decidedly positive outlook that permits a more important celebration of the success of Italian wine and of the producers who were the architects behind this success during and in connection with the 30th anniversary of GALA ITALIA. According to the estimates of the IWFI, imported Italian wine in 2014 exceeded 2.4 million hectoliters for a total of over $1.3 billion, closing the year for Italian wines with a respectable market share of 28% and 34%, respectively, of total U.S. wine imports. Italy’s position becomes more relevant when considering that the total Italian exports is about 1 million hectoliters and over $950 million more than the total exports of Australia, the second major exporter to the U.S. market, which in the past had undermined the Italian leadership. Italy has an even larger margin of advantage, both in quantity and in value, over Chile, Argentina and France, respectively the third, fourth and fifth suppliers to the U.S. market. In addition, Italy has passed this transitional year better than other competing countries, substantially maintaining the volume of its exports and limiting the rise in its prices. This instead has not happened for its main competitors, which reported sharp contractions ranging between 8% and 14% in both value and quantity, respectively. Caputo has also announced that at GALA ITALIA, with its celebration of the success of Italian wine, detailed forecasts for 2015 will be announced by IWFI reflecting the positive results for Italian wine. According to the surveys and estimates of IWFI, U.S. imports in 2014 totaled 8,811,033 hectoliters for a value of $3,950,806,000, compared with the 9,294,640 hectoliters for a value of $3,915,087,000 of 2013. In 2014, imports from Italy totaled 2,471,607 hectoliters for a value of $1,342,352,700, compared with the 2,475,750 hectoliters for a value of $1,288,063,000 of 2013. Also in 2014, imports from Australia amounted to 1,591,723 hectoliters for a value of $391,265,440, a decrease from the 1,760,570 hectoliters for a value of $437,108,000 a year earlier. According to the note of the Italian Wine & Food Institute, imports from Chile amounted in 2014 to 1,502,389 hectoliters for a value of $ 275,952,000, marking a decline from the 1,441,960 hectoliters for a value of $299,970,000 reported in the previous year. Those from Argentina amounted to 916,003 hectoliters for a value of $266,813,440, against the 1,119,380 hectoliters for a value of $296,271,000 of 2013. Imports in 2014 from France—the fifth largest supplier to the U.S. market in volume and second in value, though lagging far behind Italy—amounted to 869,673 hectoliters for a value of $871,446,540, compared with the 877,060 hectoliters for a value of $829,095,000 reported in the previous year. The note of the Italian Wine & Food Institute indicated that 2014 was also an exceptional year for exports of Italian sparkling wines. In fact, Italy holds the record for exports with 421,364 hectoliters for a value of $245,798,170 in 2014, compared with the 364,010 hectoliters for a value of $215,467,000 of 2013, an increase of 15.7% in quantity and 14% in value.